Worship is so important to be misunderstood by many Christians. Today I want to share to you some truths that many of us believe about worship but they are really half-truths because they are incomplete. These half-truths may be seriously misleading us if we will not get the whole picture. These beliefs are affecting the way we worship, the way we relate to God, and the way we live our lives. Half-Truth #1: Worship is an invitation. It is true that the psalmist in Psalm 95 is inviting us to worship, “Oh come, let us sing…Let us come…Oh come, let us worship…let us kneel” (95:1-3, 6). Most of us think of an invitation as something that we can reject without serious consequences. When someone invited us to attend a Christmas gathering, we can refuse and suffer no serious repercussions. Half-Truth #2: Worship is singing and making music to God. It is true that we can worship with songs and music and God may be pleased by it. Worship is an invitation to “sing to the Lord…make a joyful noise with songs of praise” (95:1-2). But it does not mean that we cannot worship without songs and music. We can even worship in silence, without any noise. Music is just one of the means of expressing worship. 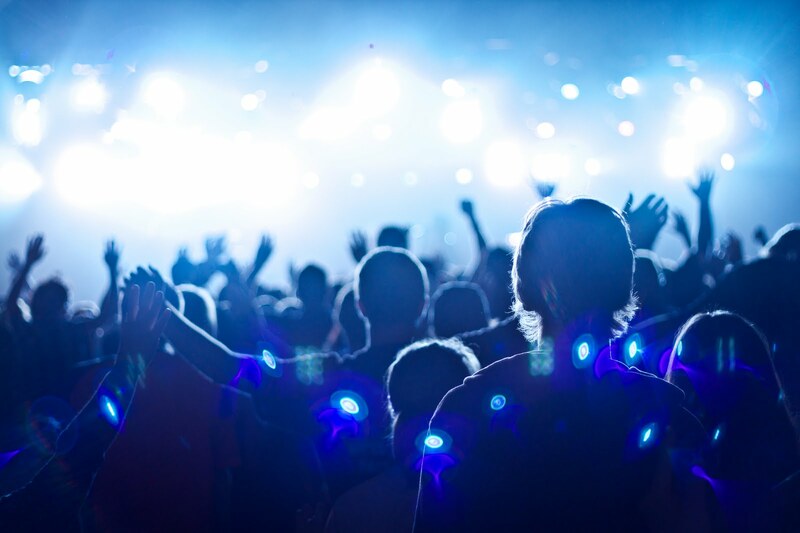 The truth is: Worship is more than singing; it is any act of reverence toward God. Worship also involves bowing down and kneeling before God in act of submission to his rule (95:6). It is a misnomer to call the singing time in our worship services as “Praise and Worship.” How about giving your tithes and offering? Isn’t that act of worship also? How about preaching (which I believe is the most important)? How can our worship have any light and heat without the proclamation of the revelations of God? Or just sitting in silence and reflecting on God’s goodness and grace in your life? Any act of reverence toward God is worship. Half-Truth #3: Worship is an activity. Singing, bowing down, thanksgiving, praising and kneeling are things we do. It involves active participation on our part. That is why many of us will feel satisfied once we have finished doing the things we are supposed to do that we may say to ourselves that we have already worshiped. But to say that worship is an activity is only half of the truth. The truth is: Worship is more than just an activity; it is a matter of the heart. You can do all “worship” activities and not really worship. For God the most important thing is the heart that drives the worship and not the performance, even how excellent it is. That is why God said, “Do not harden your hearts, as at Meribah, as on the day at Massah in the wilderness, when your fathers put me to the test and put me to the proof, though they had seen my work. For forty years I loathed that generation and said, ‘They are a people who go astray in their heart, and they have not known my ways'” (95:8-10). The people who went out of Egypt were saved so that they may worship God. Instead, their hearts continually grumble against God and did not trust him. Are not many of us sing to God with hearts doubting his goodness or our minds filled with impure thoughts? Worshiping God with our lips with a heart that is far from him is no worship and therefore, hypocrisy. Jesus said to the Pharisees and the scribes, “You hypocrites! Well did Isaiah prophesy of you, when he said: ‘This people honors me with their lips, but their heart is far from me; in vain do they worship me, teaching as doctrines the commandments of men'” (Matt 15:7-9). Stephen Charnock said, “Without the heart it is no worship; it is a stage play…We may be truly said to worship God, though we [lack] perfection; but we cannot be said to worship him, if we [lack] sincerity” (cited in MacArthur, The Ultimate Priority, p. 118). Half-Truth #4: Worship is occasional. We worship on Sundays, during prayer meetings, during our daily devotions and prayer times, Bible studies, and evangelistic outreaches. And we really do if our heart is in tune with God during those times. There are really special times set for worship. But it does not mean that once we have already worshiped God during those set times, our duty to him is done and all our other times are at our own disposal. The truth is: Worship is not just occasional; it must be a way of life. The reasons for worship does not change. The Lord will always be “a great God, a great King above all gods” (95:3). He will always be the Creator of the whole universe (95:4-5). He will always be our Maker (95:5). You cannot change that. He has a claim on our lives. Therefore all of life must be lived as an act of worship. Our bodies must be a living sacrifice, holy and acceptable to God (Rom 12:1). “So, whether you eat or drink, or whatever you do, do all to the glory of God” (1 Cor 10:31). Half-Truth #5: Worship is for our benefit. It is true that when you worship there will be joy and satisfaction. Only true worshipers, and therefore true believers, will experience eternal life. God blesses his worshipers. But how often many of us come before God because we need something in return? How many of us are bribing God by our worship so that he may bless us materially, or with good grades in school, or with a favorable answer to our prayers? There are blessings for a worshiper but this must not be the primary motivation. This is not true worship. The truth is: Worship is not primarily for our benefit; it is primarily for the honor and glory due to our God. Worship is not a time for self-promotion. It is the way we express to God that we recognize his supreme authority in our lives. Our lives must be lived in honor to God as our Creator, Savior and Lord. In everything you do ask yourself, “Will this act or thought or word reflect the glory of God and give him the honor due his name?” It is not wrong to expect a blessing from God, but that blessing must ultimately be God himself because “God is most glorified in us when we are most satisfied in him” (John Piper). Charnock wrote, “To pretend a homage to God, and intend only the advantage of self, is rather to mock him than worship him. When we believe that we ought to be satisfied, rather than God glorified, we set God below ourselves, imagine that he should submit his own honor to our own advantage; we make ourselves more glorious than God” (cited in MacArthur, The Ultimate Priority, p. 121). Brothers and sisters, worship God the way he wants to be worshiped. Not by what is comfortable and preferable for us. He is God, not us. Don’t settle for half-truths about worship.